Found a way to save these hard-to-come-by pieces from death by rust. Start by removing rear axle & seized stub axle as a unit from rear trailing arm. Hammer out with block of wood & BFH or dead blow hammer Or my favorite though some will object - a ball peen in stub end & 4 lb drilling hammer. 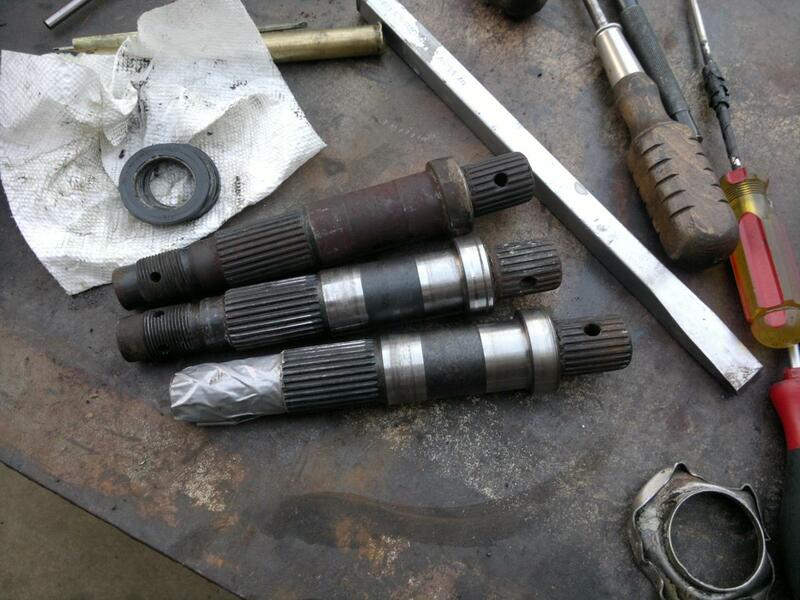 Next remove axle shaft from inner CV/DOJ cup. DOJs are easiest. Boot, outer lock ring, then pull everything else as one. Swab out old grease with rags. CVs require a few more steps, like rocking inner race & cage to one side, removing 2 balls, back the other way then last 2. Then work cage & inner race out - they do come out. Notice hammer marks on CV. Futile attempts to get the bugger off the stub. Note difference in how cup plugs are installed. CVs - plug hollow side up. DOJs - hollow side down. 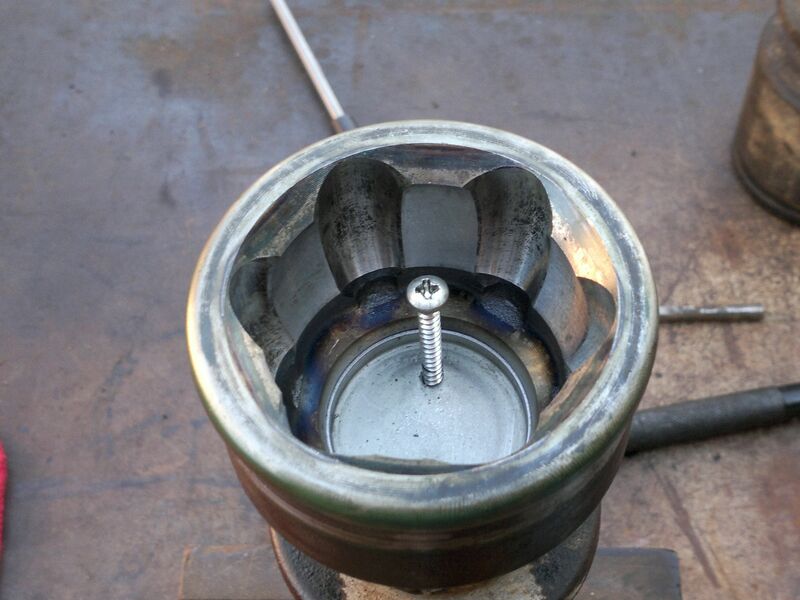 Use an awl to punch a starter hole in cup plug then screw a 1 inch or longer #10 sheet metal screw in which will lift the plug out of the recess. 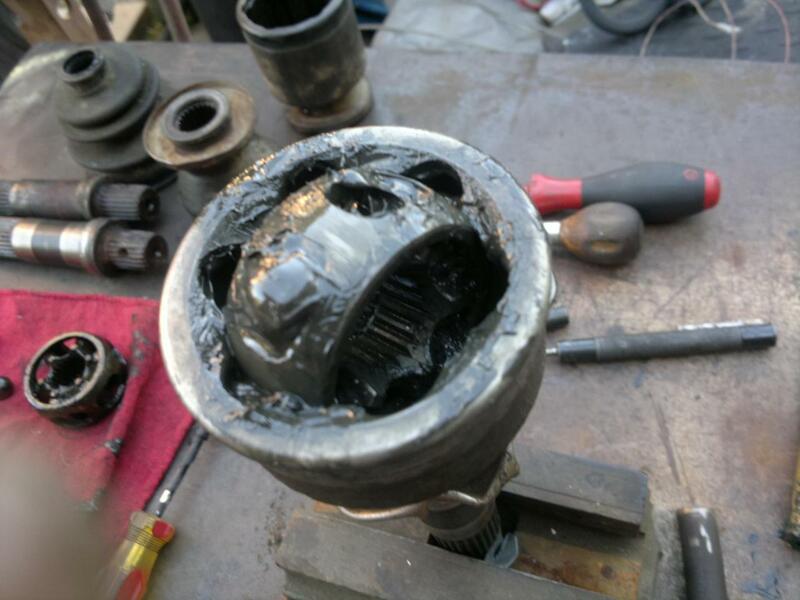 This exposes the end of stub axle. 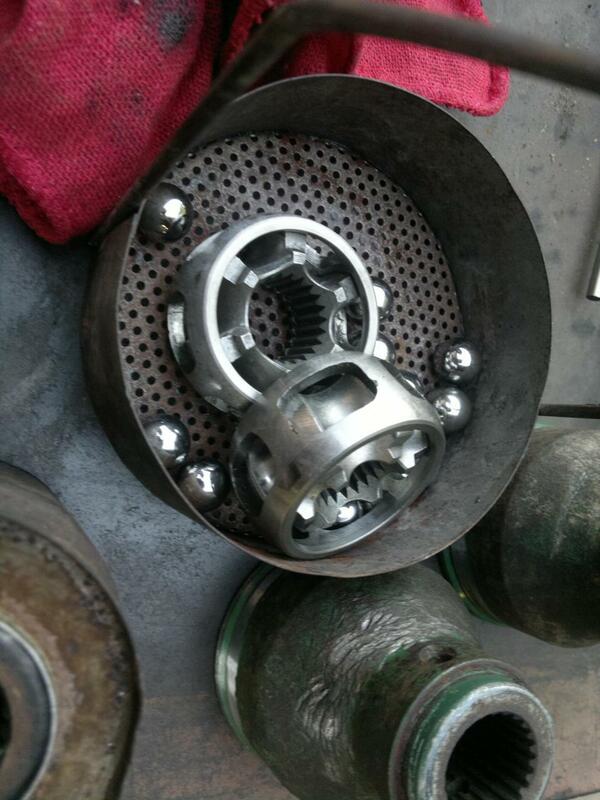 You might have to give seized parts a good soaking overnight with Kroil or other penetrating spray before press work. Install bearing clamshell around DOJ/CV just above dust shield, then place this in between heavy duty plates in 20 ton press. 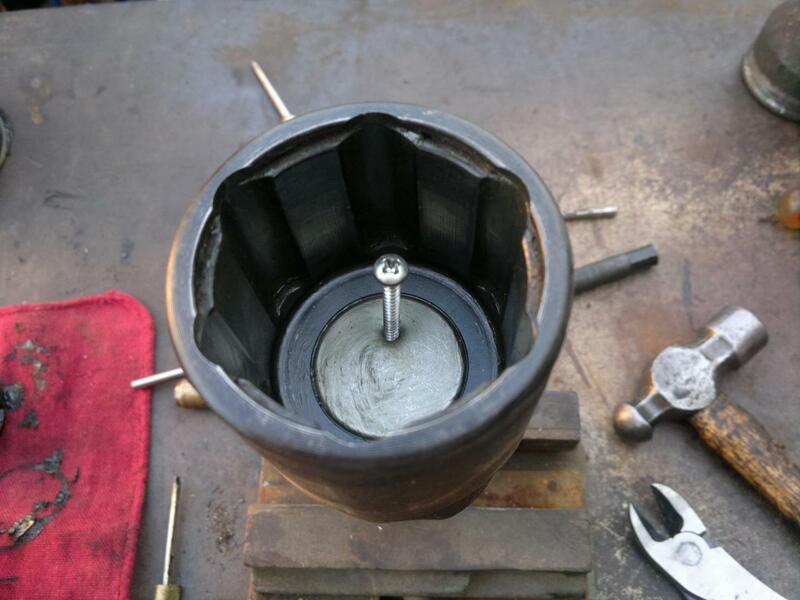 Use 4-6 inch piece of 5/8-3/4 inch round stock with ends squared up on end of stub to press with. Not too long or it may become angled & then bend easily. 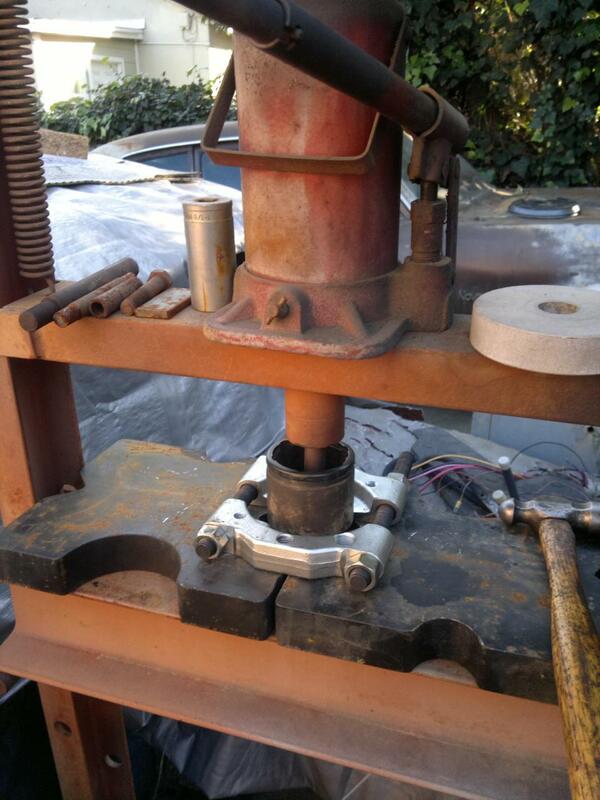 Pump press until either stub starts moving or feels like all 20T pressure is there. Rap on outside of cup a little with hammer to jar it. Helps align things for removal. Relieve pressure & turn cup some. Rinse & repeat until stub comes loose. Did this for alexbuoy & one of his took everything my old Enco press could muster. Finally came loose with a loud bang causing everything on press to jump. Bead blast or wire brush stubs. 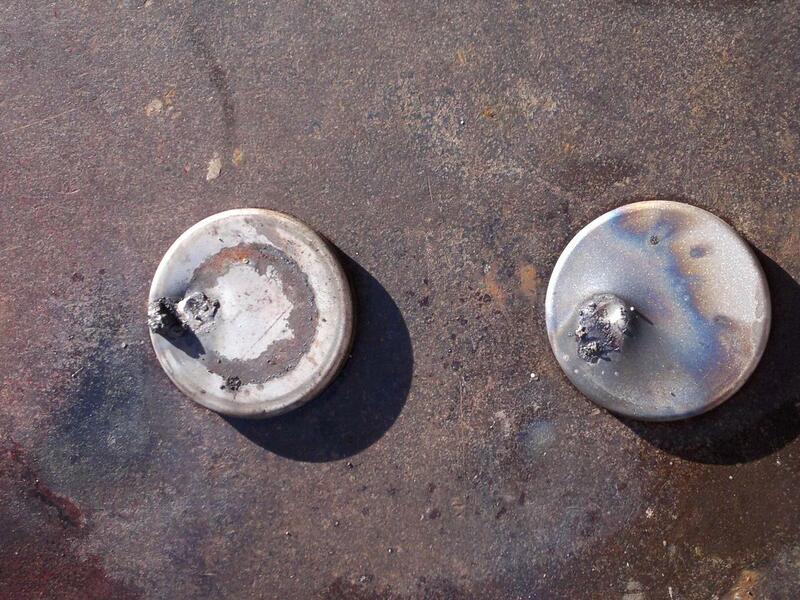 Hammer holes in cup plugs flat then soft solder holes shut. Clean up flux on plugs. Install with Permatex No. 1 or similar. Remember DOJs - cup plugs down. 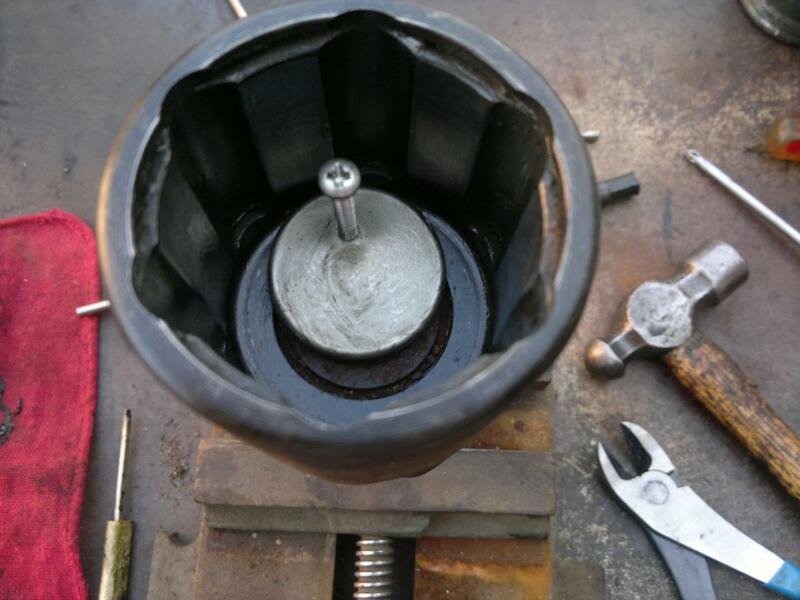 Apply anti-seize to splines after re-installing in rear arms. Both ends. 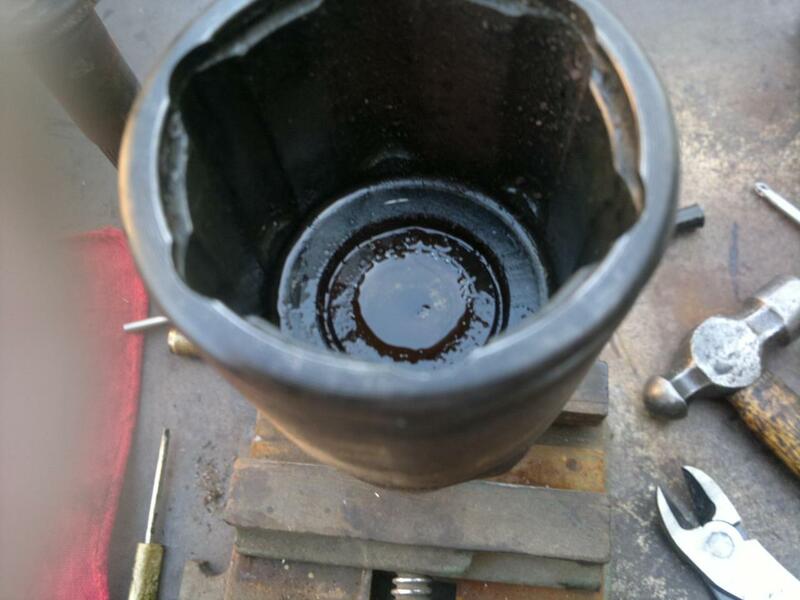 Don't forget the rubber washers on short ends of stub axles. Hope this helps save a few axles & stubs in the future. Parts for EA cars are getting scarce.